Usually when we talk about weddings or parties, being a women, salons are the first thought that comes in our minds. For polishing yourself, party makeups, bridal make up, we rush towards parlor. Keeping in mind this, we generally thought of the best salon we can approach and this really means. While talking about Karachi salons, which is the main city of Pakistan, serves their clients with care and authenticity. Here 5 best parlors in Karachi that you will never miss to go. Natasha salon is the top best salon in Karachi run by Natasha Khalid. She is very known being the granddaughter of Madam Noor Jahan. She charges Rs 45000 for bridal makeup. She is expert in hairstyles and attractive look by her services. 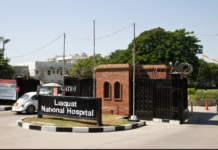 It is located near Zamzame Lane, opposite pizza hut in Karachi. Sabs is the most popular salon, located tauheed commercial Area DHA. The salon is mainly known and got fame through the best makeup styles. And due to its popularity it is mainly named as the “fish market” of the bridal word. The reason is the number of brides she serves per day. Name, Nadia Hussain sounds much familiar in the film and drama industry. She has recently launched her Salon and has got fame in a very short period of time. A complete clinic consisting of supportable staff providing best services. A bridal pays minimum of Rs 30,000currently. Clinic is located at Block 4 Clifton, Karachi. Amongst one of the best parlors, is Depilex Beauty Parlor. This not only serves as salon but a full-fledged clinic. Comprising of 3 main branches in different cities. Makeup, hair styling, skin treatments, facials, manicuring are some of the best services provided here. Bina khan, being one of the awesome salons you will get in. it is located near Bukhari Commercial Lane, Defence. Beautifully styling and for amazing bridals looks, Bina khan salon is the top approach. She services with all types of looks which you would like to have charging Rs 35,000 for bridal makeup.